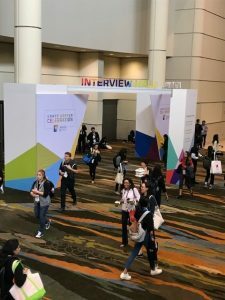 We are grateful to Sabina Zafar, BRIIA Mentor, for sharing her reflections on attending this year’s Grace Hopper Celebration in Orlando. Sabina is a Software Architect at GE Digital as part of the GE Experienced Architect Leadership Program. For more information about Sabina, please click here. During the week of October 4th, I had the opportunity to represent GE (General Electric) at the Grace Hopper Celebration in Orlando, FL. 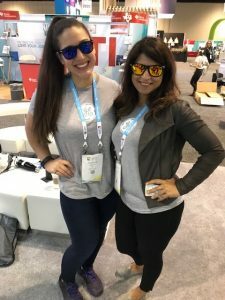 This is a unique conference as it is one of the very few technology conferences where the majority of attendees are women in the field of computing. The conference was both empowering and enriching. It was heartwarming to see so many young women pursuing degrees in technology, and women already in tech careers sharing their experience and knowledge. It was a soft landing place, where you could geek out over the latest technology trends without judgment or feeling like an imposter. We were able to openly express our opinions, talk about our career goals and growth, and learn from each other which lead to lifelong friendships that I know will carry over beyond the conference. This was my first Grace Hopper Celebration and I met women who proudly boasted that this was their 3rd , 4th or 5th year. I was in awe! I spent most of my time on the show floor as part of the GE team talking to women about GE, Iot, Machine Learning & Artificial Intelligence. I also had the opportunity to talk to and network with some very accomplished women. The conference was enormous with more than 18,000 attendees. Some sessions’ lines started 30 minutes before the doors opened and rooms reached capacity within minutes. The line was out the door each morning before the show started, and this was a very large convention center. Any tech company that you can think of was represented at the conference. The day started early and ended late but no one complained. Everyone wanted to learn from each other and network. Women came in dresses, pantsuits, jeans and hoodies, and the bathrooms were gender neutral. I was simply amazed by the diversity of women that were attending the conference over a single passion, technology. The conference felt like a powerhouse buzzing with smart, accomplished and passionate women technologists. After attending the Grace Hopper Celebration those words certainly resonate with me. I came back from the conference feeling empowered and humbled by being in the company of such accomplished and motivated women, with a self promise to continue to do my part in empowering Women in Technology. Grace Murray Hopper, born on December 9, 1906 was an American computer scientist and United States Navy rear admiral. She was one of the first programmers of the Harvard Mark I computer. She was a pioneer of computer programming who invented one of the first compiler related tools. She popularized the idea of machine-independent programming languages, which led to the development of COBOL. She also recorded ‘the first computer bug’ in the Harvard Mark II computer’s log book. The problem was traced to a moth stuck between relay contacts in the computer, which Hopper duly taped into the Mark II’s log book with the explanation: “First actual case of bug being found.”  She coined the phrase debugging! In 1994, Anita Borg and Telle Whitney founded the Grace Hopper Celebration of Women in Computing with the initial idea of creating a conference by and for women computer scientists. Borg and Whitney met over dinner, with a blank sheet of paper, having no idea how to start a conference, and started to plan out their vision. The first Grace Hopper Celebration of Women in Computing was held in Washington, D.C., in June 1994, and brought together 500 technical women. 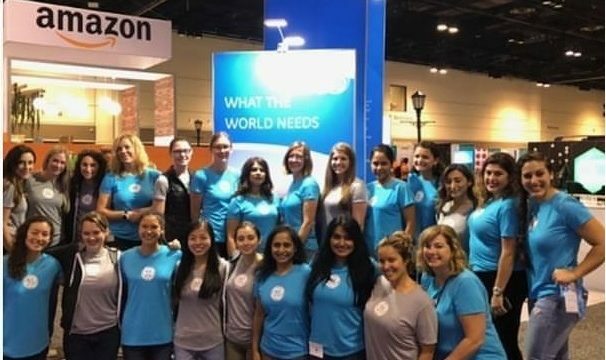 This year the conference was held in Orlando Florida and was attended by 18,000 women technologist and men that stand to empower women in technology. Cantrell, Mark (March 2014). “Amazing Grace: Rear Adm. Grace Hopper, USN, was a pioneer in computer science”. Military Officer. 12 (3). Military Officers Association of America. pp. 52–55, 106. Retrieved March 1, 2014.